The design of this peculiar shawl is impressive by itself. It looks like a dragon tail as the name suggests. The Dragon Tail Shawl Free Knitting Pattern is very well written with step by step instructions. The pattern is very repetitive, so it should be easy to follow and a quick project. It is pretty flexible and you can make changes to it to suit the yarn you choose or other considerations. 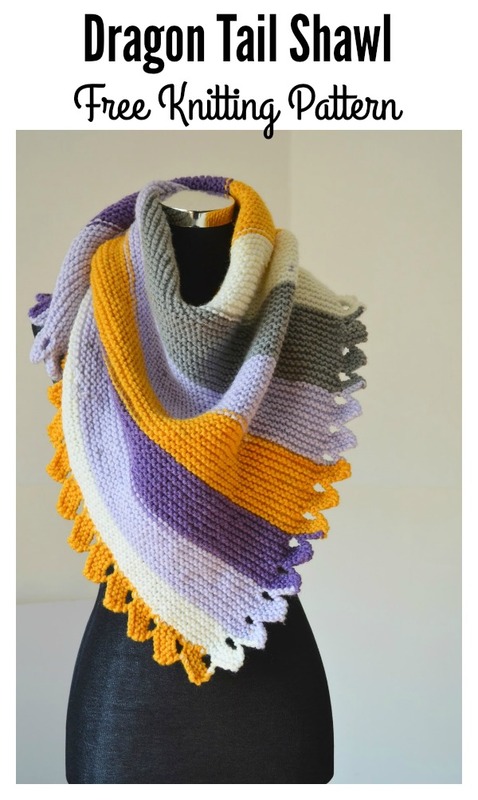 I like the mix of colors used in the shawl, but you can customize with the colors you like. Enjoy. If you don’t know how to knitting, you can buy one here. You might also like Carol’s Clever Little Keyhole Shawl Free Knitting Pattern. Or Simple Crochet Lacy Shell Stitch Shawl Free Pattern for Beginner.